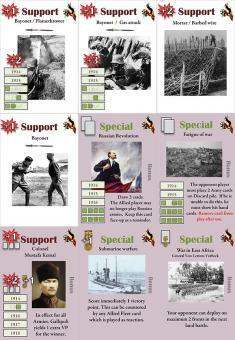 The Longest Trench is a two-player Card Game about the First World War from the strategic viewpoint. 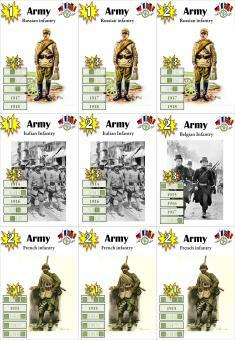 The Game recreates World War I in a historical series of land and sea battles. The Central Powers (Germany and her allies) are opposed to the Entente (Great Britain, France, Russia and their allies). As a supreme commander you try to defeat your opponent by allocating your troops, planes and ships with possible Support (from Air, Mines, Trenches etc.) on the right front to the right time. 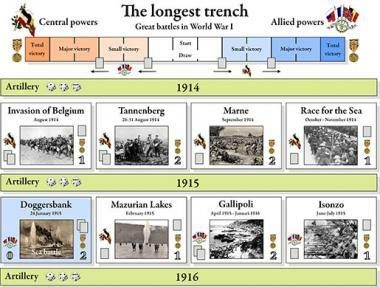 The Longest Trench is primarily designed as a quick playing fun game and players can finish a game in one or two hours. 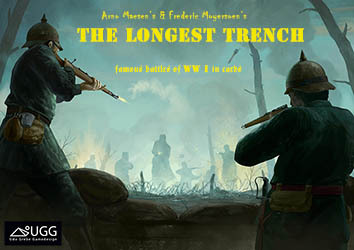 The Longest Trench is a trademark of UGG (Udo Grebe Gamedesign), Copyright UGG, all rights reserved.